Mocktails are a great way to warm up your holiday season! 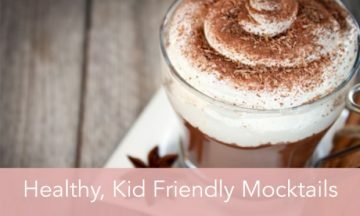 If you are hosting a holiday party or just want to do something fun with your kids, making one or all of these recipes is a great way to spice up an evening, and they are good for you too! For full instructions check out original post from Elena’s Pantry. In a saucepan combine all the juices, the sugar and water. Add the cinnamon stick and allspice in a spice bag and toss it in the pan. Pour into your serving container. Add the apple slices. For full instructions check out original post from Nosh My Way. To make the Cranberry Orange Wassail add all ingredients to a large pot and heat on low for up to two hours. Stir occasionally and remove cloves by straining before serving. The cinnamon candies will dissolve so you only need to worry about removing the cloves. You can also add a few fresh orange slices to the wassail while heating. When you’re done put it in your favorite mug and enjoy. You can easily add apple juice, pineapple juice, cinnamon sticks…whatever flavors you love. For full instructions check out original post from Carosello Blog. For full instructions check out original post from Butter with a Side of Bread. For full instructions check out original post on Girl Gone Country. What is your favorite mocktail to make when its cold outside? Share with us in a comment below!